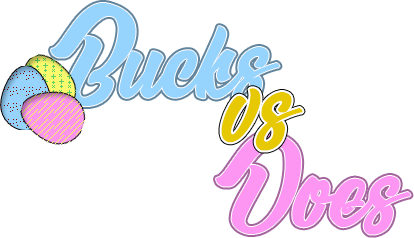 WIN 500 COINS+: BUCKS VS DOES! This year the fab admin team have decided to host a big event which will take place FOR TWO WEEKS 14th April until 28th April! All players taking part will be randomly split into 2 teams (Bucks / Does) (...boys and girls) and they will be competing for points for their teams to win! There will be a series of events / radio shows being hosted on a daily basis with the add on of mini competitions such as forum games to make it accessible for all members of the community to participate! To make it fair we have decided that there will be 1 event hosted in each timezone and also to alternate radio shows daily! Also to help flow communicate between your teams we will be creating a team chat within the HFFM Server which will be accessible for all members of the community whether you are staff members or not you will be welcomed in! The winning team on the 28th April will all win 1 Weeks VIP on the forum! Last edited by immense; 21-04-2019 at 08:21 PM.